The year is AD 7000. The human species is extinct—for the fourth time—due to its fragile nature. He’s correct: Krina and Ana each possess half of the fabled Atlantis Carnet, a lost financial instrument of unbelievable value—capable of bringing down entire civilizations. Krina doesn’t know that Count Rudi suspects her motives, so she accepts his offer to get her to Shin-Tethys in exchange for an introduction to Ana. Excellent, intelligent space opera. Stross at his finest. I really enjoyed this. 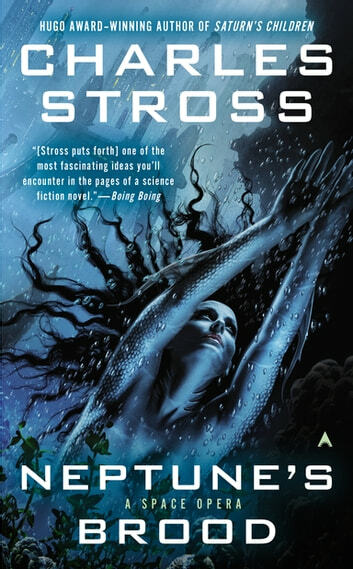 Charles Stross brings galactic-scale macro economics to straight-up space opera. I love this book. It can get a bit technical but still the concept behind it is intriguing.